ORVs, cross country skiers, shutterbugs, and explorers. But take notice, not all of the trail is open to all users. Please see the ORV, bike, and snowmobile maps for where you can get on and ride. 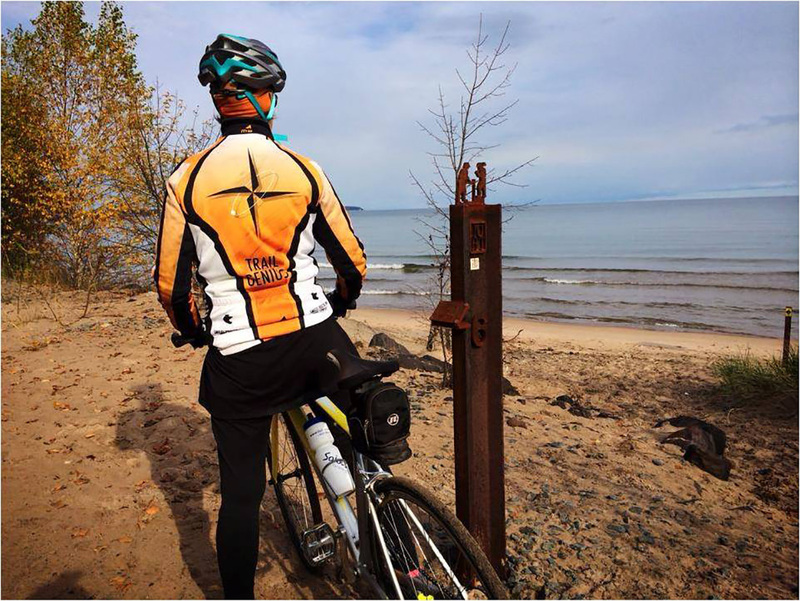 The trail follows mostly abandoned railroad corridors that were used to bring lumber to furnaces and forges and iron ore to the Lake Superior Harbor. There are nine trailheads that make it convenient to get on and off the trail. It connects the largest populations in the County of Marquette and travels through their downtowns providing the amenities trail users want and need. 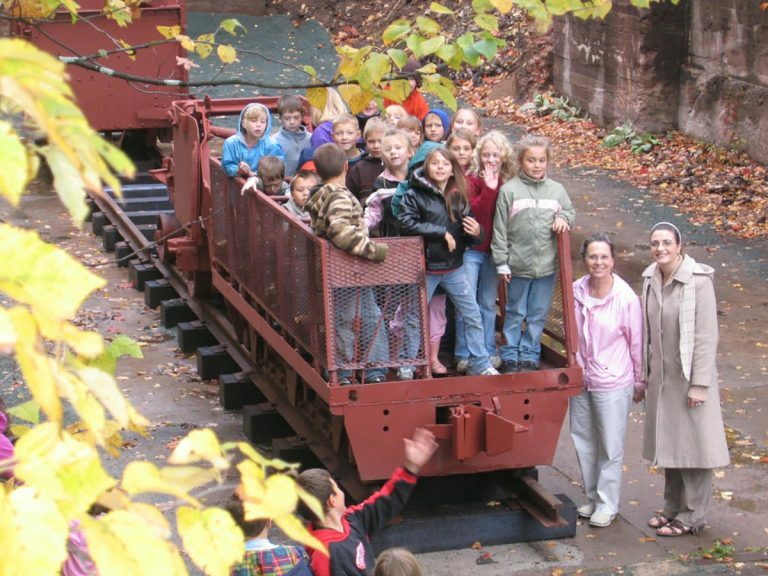 Is an interpretive trail that showcases the role of the iron ore mining industry to the State of Michigan and the United States. Our interpretation program repurposes the actual rail that was used in the rail lines and fabricates it into mile markers and interpretive signage frames. This program not only used recycling, but stays true to the “iron” ore heritage story. Promotes cooperation among jurisdictions and trail users. 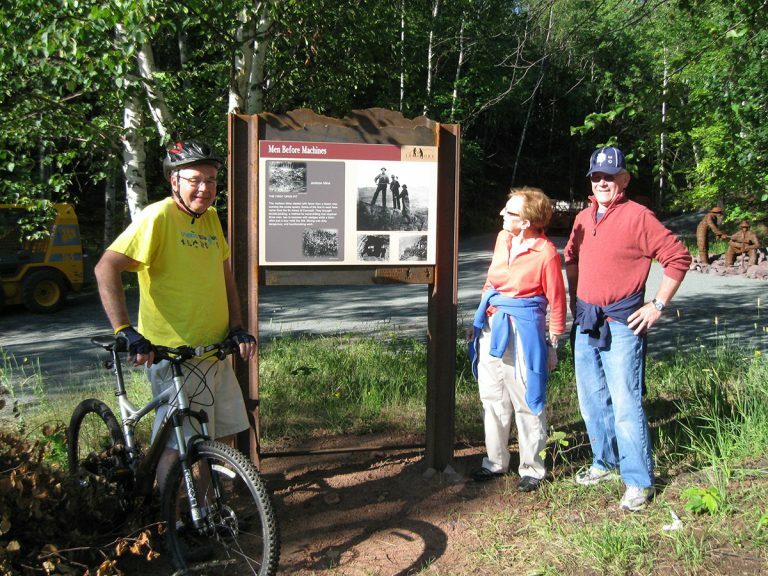 Provides a trail that highlights our County’s diverse environments from hugging the beautiful Lake Superior shoreline, traversing the three cities with their historic sandstone structures, skirting along the iron mining pits of the 18th and 19th centuries, crossing many creeks and rivers in the rural areas, and connecting the many neighborhoods along the trail. The Iron Ore Heritage Area aims to provide local residents and visitors a wide variety of outdoor activities. The 47 mile stretch that connects many small communities gets outdoor enthusiasts off of the road and onto trails. The use of the trails are geared towards the preservation and conservation of the local wildlife and past facilities. Run, walk, bike, hike, ski, and/or snowshoe. The Iron Ore Heritage Area will be a resource for teachers and lay people looking to learn of the past and of the outdoors. Classrooms can visit different areas to learn of the local industry while gaining an understanding of the natural and cultural history. While looking into archaeology, geology, history, and business projects, don’t forget our national history! Our iron ore ancestors dug the ore that helped the North win the Civil War, helped the U.S. build weapons for WWI and WWII, and spurred on the industrial revolution. When residents and visitors are outdoors, they tend to spend their money in their local community. The trail is open to event organizers as well for fundraisers. Through the enhanced activity, old buildings are coming back to life as brewpubs, restaurants, ice cream shops, retails outlets, etc.